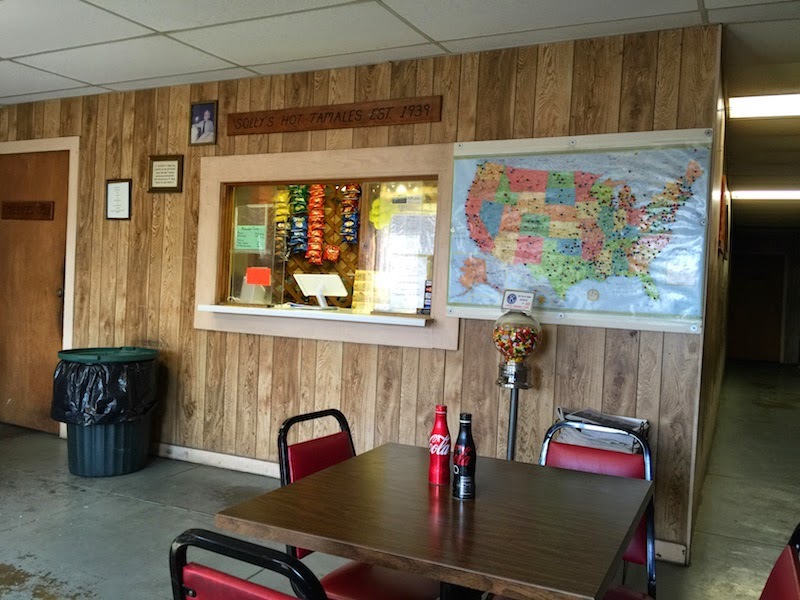 I took a detour off the Natchez Trace Parkway and headed to Vicksburg for some hot tamales. 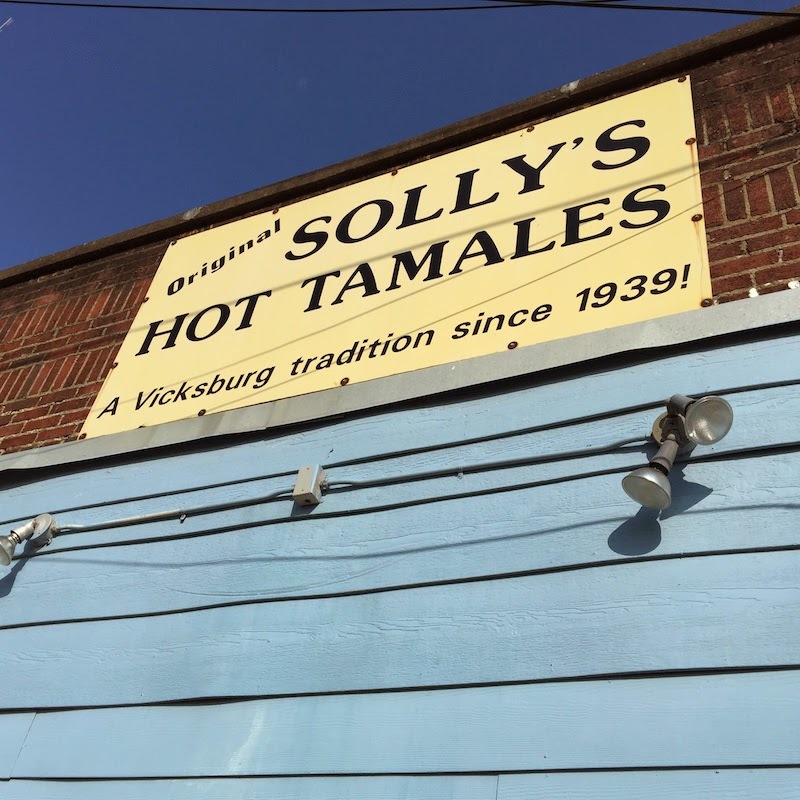 I found Original Solly's Hot Tamales in my Road Trip USA: Cross-Country Adventures on America's Two-Lane Highways . This is a big book with 11 great road trips, with what to see and where to eat along the way. 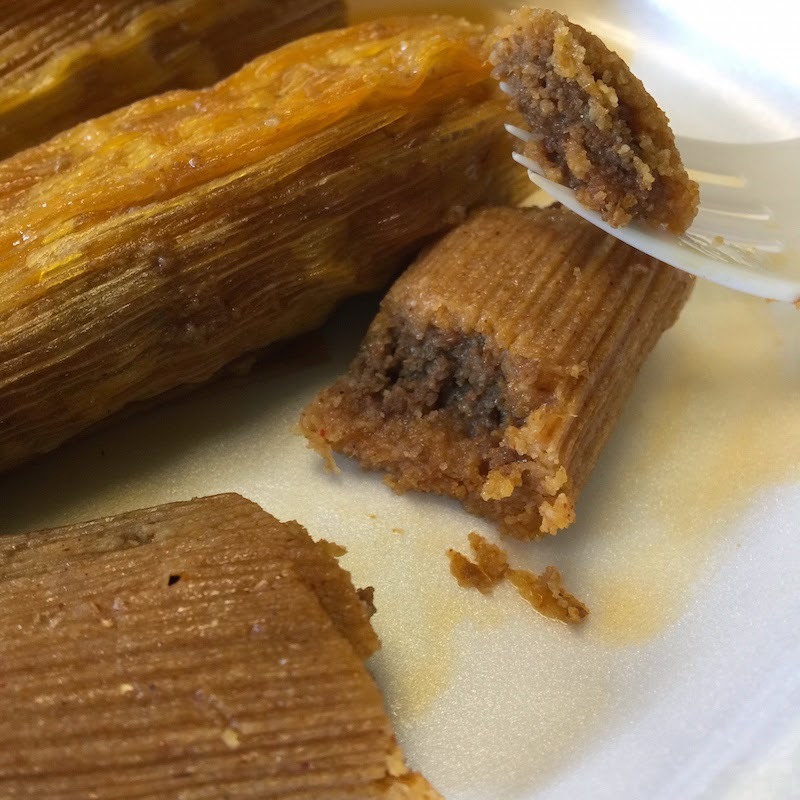 Solly's tamales are just right. The beef is seasoned well with just enough heat to make them spicy but not going off the charts in terms of heat. They're already made so you don't wait long to start enjoying them. And they are very reasonably priced. Buy them in bunches of three. 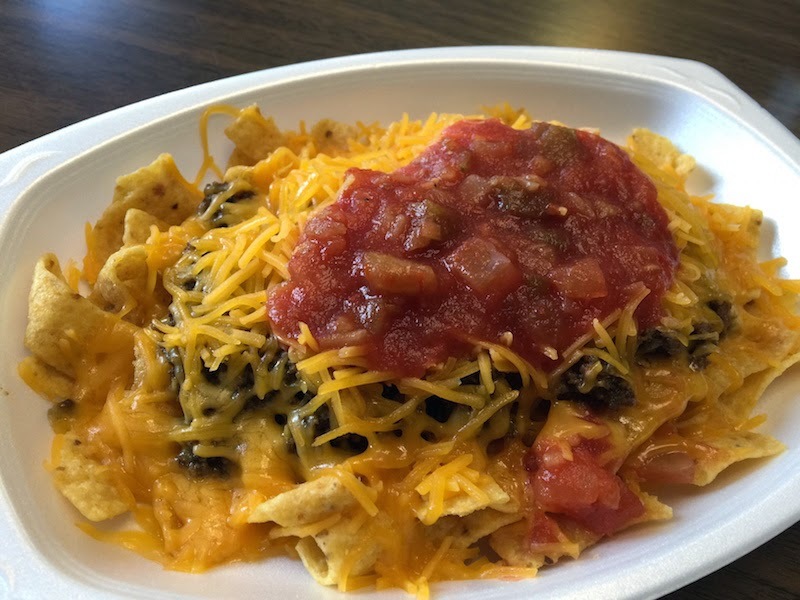 I also got the frito pie. It's exactly what you think it is with the tamale beef piled on Fritos, with cheddar cheese and salsa. I really liked this a lot. Such a simple thing but the spicy beef makes it delicious. The take-out business seems to do do well here, too. 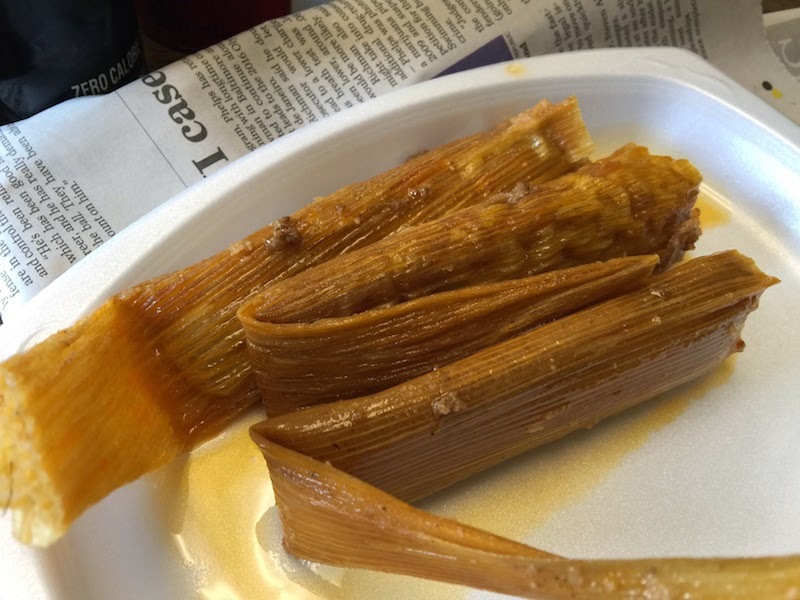 Just while I was enjoying my meal, several people came into order tamales by the dozen to go. You can even get them frozen.